Why you should use a high-quality coolant. Selling coolant for machine tools usually sparks a debate. A common question is: “We aren’t worried about tool life, why should we use a high-quality coolant?” Accurate Lubricants has some knowledge to pass along about metal working fluids. Tool life may not be important to an end user but the quality of your coolant is. 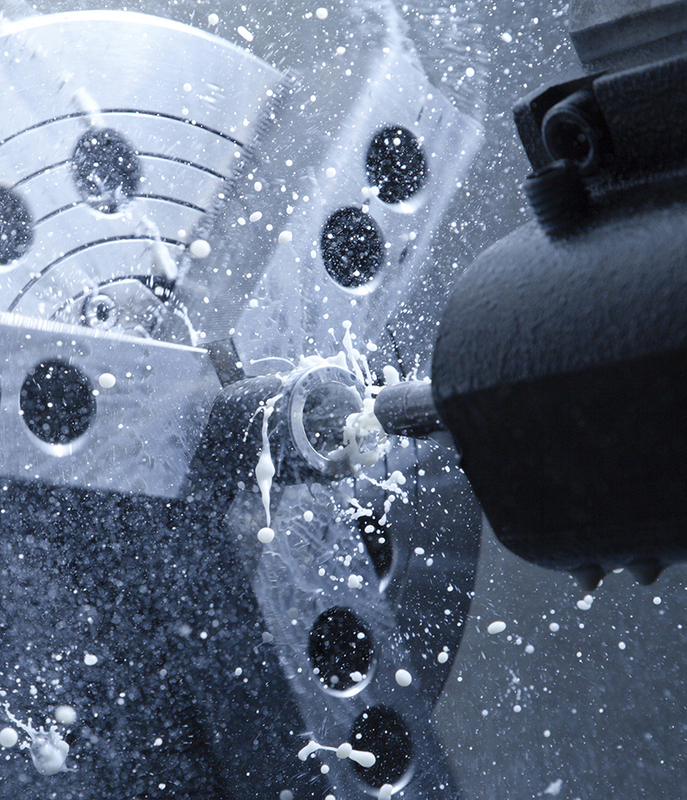 Choosing the right coolants for your machining operations is a huge issue. Unfortunately, many companies don’t give it careful consideration. At the core of the issue is the fact that lower-priced coolant isn’t always cheaper. It’s more expensive over time. In many cases three-to-four times more expensive because less expensive coolants break down more rapidly. Metal working fluids or coolants are concentrates. They need to be mixed with water. From the very start, the water make-up impacts the health of the coolant. -An Increase in the maintenance costs of machinery. -A decrease in process efficiency. -An increased growth rate of bacteria and fungi. 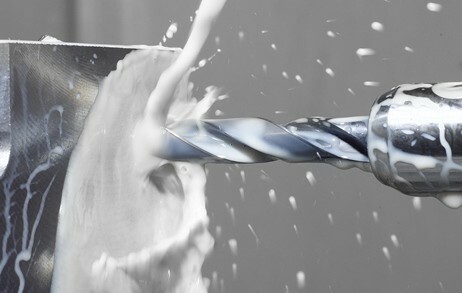 -A decrease in the useful life of metalworking fluids. -A compromise in the quality of the end product. Soft Water: If your water is too soft it can damage the coolant. Soft water can hamper the performance of fluids by causing the formation of foam. This condition is likely for synthetics and semi-synthetics in grinding operations and soluble oils in both machining and grinding applications. Foam can drastically impair fluid performance by contributing to poor coverage properties, which diminish lubricating, cooling and proper film coverage for in-process corrosion protection. Foam can also hamper fluid detergency. It starts with the water. It needs to be filtered properly. At Accurate Lubricants, we suggest performing a water analysis. We can help with this. It may be necessary to use treated water such as deionized water. Water purification equipment extracts ions. Deionizers can use an inline tank, or a reverse osmosis unit. Home-type water softeners can help by removing the minerals that contribute to metal corrosion and/or salt deposits, but they are generally not considered thorough enough for coolant preparation. This is where we want to talk about the oil rejection package in the coolant. If the coolant doesn’t have a strong tramp oil rejection package, the coolant will take in the tramp and when it evaporates, the mist from the coolant will leave a sticky tramp oil residue on anything it touches. When coolant takes in tramp oil, it makes it hard to maintain desired concentration in the field using a refractometer. The refractometer will show the tramp in the coolant as good oil and cause a false high reading. Using a low-end coolant can end up being more expensive in the long run. One may have to use more concentrate for a higher concentration/lubricity. For example, a less expensive coolant usually has lower lubricity causing the customer to run upwards of 12% coolant concentration. A high-end coolant with high lubricity only runs 6% with the same results. Low-end coolants tend to have a weak bio package. This can lead to more issues with bacteria and fungus growth in the sump leading the need to use hazardous additives to kill bacteria. Use of these additives and biocides/fungicides can cause corrosion and also risk ammonia blooms. Ammonia blooms can clear out an entire plant (It has a strong ammonia smell!) and lead to lost production and safety/health hazards. Bacteria causes a strong musty odor (Monday morning smell) and can also cause dermatitis for operators. High-quality coolant will have a strong bio package and, when maintained at the recommended concentrations with proper housekeeping, will prevent bio growth. Better coolant will help cutting tools last longer and keep rust at bay. Tool wear can be a sign of coolant breakdown. That can also affect spindle health, causing spindle vibration. Left unchecked, it can lead to repairs far in excess of coolant costs. It’s hard to stay on top of everything that can go afoul. That is why companies like Accurate Lubricants offer routine testing and maintenance services to keep your machines operating at full capacity. As we finish up the summer months, it’s a good time to consider preventative maintenance. We are here to help.